From The Weekly Standard. October 5, 2015. During the British election this past year, the press reported that a certain Janek (or John) Zylinski, a Polish prince living in Britain, had taken umbrage at the anti- immigration rhetoric of Nigel Farage, leader of the U.K. Independence party, and so did what has long come naturally to Polish princes by challenging Farage to a duel — with swords, in Hyde Park. Nigel Farage, who claimed not to own a sword, laughed it off, as did everyone else. One suspected that Prince Zylinski, whose father is said to have led a fleetingly successful cavalry charge against the invading Germans in 1939, was laughing, too. He was not wrong, however, in suggesting that a duel, with swords, was something "an 18th century Polish aristocrat and an English gentleman would traditionally do." Touché: The Duel in Literature reveals that some people, at least, would have been laughing even in the 18th century. 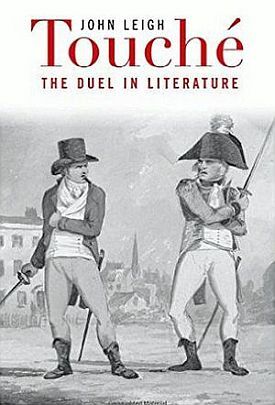 Dueling was a popular topic for literature partly because, like love, with which it was so often connected, it combined life and death seriousness with an inescapable sense of the absurd — as John Leigh appears to recognize in his chapter on "Paradoxes of the Duel." But this was true at least as early as Chaucer’s "Knight’s Tale" in the 14th century, a text not mentioned by Leigh, whose history begins with (and often returns to) Corneille’s Le Cid (1637). Yet this very appeal of the duel to a characteristic Western literary sensibility has had a distorting effect on our historical rear-view mirror, making it necessary to distinguish between duels in literature and duels in real life. Leigh does not always do this. But what a quantity of learning has gone into the making of this book! Stretching over three centuries, and comprising several European literatures in their original languages, as well as frequent excursus on the visual arts, Touché will be humbling to all but the most learned reader. Dazzling insights, for example, in tracing threads of connection among Corneille, Milton, Voltaire, Beethoven, and Victor Hugo that go far beyond the narrow subject of dueling, make it easy to forgive the occasional lapse. Yet one is left with the sense there was nothing important that Leigh himself learned in writing this book that he did not know before he started. He too often assumes today’s characteristic attitude of superiority to the past, as when he writes that "the transgressiveness of the duel is, once again in the French tradition, an essential part of its charm" without any hint that the Lit Crit jargon of "transgressiveness" was something quite unknown to the people who were allegedly charmed by it. Likewise, he cites as an example of 19th-century social Darwinism a text written more than 20 years before Darwin’s Origin of Species. His own moral disdain for the custom of dueling is so taken for granted that, in the few cases where his examples do not treat dueling as, at the least, morally problematical (as in Dumas’s Three Musketeers), his tone fairly drips with contempt for his material. Nor does he appear to have any interest in, or curiosity about, the origins of so curious a custom in a particular idea of honor that prevailed in Western Europe from the 16th to the 19th century? — and, for a while, even in America. I think this is because Leigh, who is a lecturer at Cambridge, makes another assumption, all too common today, namely that the "honor" those old- time gentlemen were fighting over could only have been a pretext for something else, something political or psychological or both. Like Prince Zylinski, he knows he can rely on our willingness to take the joke of "honor" for granted. Thus he quotes approvingly Steven Pinker’s opinion that "honor exists ‘because everyone believes that everyone else believes that it exists.’"
That is, to say the least, a pretty tenuous form of existence. It is telling that Touché begins not with Corneille but with the Abbé de Saint Pierre almost a century later, who was "one of the first writers to pathologize the duelist." On the first page we are told that, at least as early as the 18th century, "duellists were supposed to belong to the Dark Ages," as if the opinions of the anti- dueling authors he mentions were the only ones in the century worth mentioning. Likewise, he says, "literary depictions of duels make them seem honorable," as if it were too obvious to need saying that they were not honorable. Without some understanding of the actual social history of dueling, an account of its various literary manifestations seems random and arbitrary. I hope John Leigh will not think it presumptuous of me if I fill in a few of the blanks he has left in this history. Although he recognizes that, in revolutionary France (and, he might have added, revolutionary-era America), dueling underwent a form of embourgeoisement — as, "instead of deploring the duel as an aristocratic abuse of power that needed to be extirpated, the middle classes deemed it a privilege they might henceforward share with the nobility" — he doesn’t see that, in fact, it was a matter of social mobility from the start. Most of our knowledge of the early history of dueling comes from Italian etiquette books of the 16th century written for aspiring courtiers and others who needed to know how to behave like true aristocrats. Always interested in the arguments of those opposed to dueling — he notes, for instance, that while the 17th century tended to favor religious arguments, the 18th century was more likely to argue that dueling was inauthentic medievalism or classicism — Leigh never properly considers or appears to have any curiosity about those, like Bernard Mandeville, also in the 18th century, who thought with the authors of the dueling manuals of two centuries earlier that the custom was a powerful enforcer of civility. He has no time for our own — Alexander Hamilton, who, though not a fictional character, continued as many did to think it incumbent upon himself to fight a duel even though he disapproved of the practice. If he had been asked, Hamilton would have said that he could do no other and preserve his honor; but today, the argument from honor is no argument at all but mere posturing absurdity — like that of Prince Zylinski. This raises the question of how the author can have spent so much time and effort on an activity with which he is so much out of sympathy — or rather, only with literary treatments of it with which he is in sympathy. Partly, it is true, this is because so many of the authors who wrote about dueling were out of sympathy with duelists and intended to ridicule them and their absurd ideas of honor. But the subject is a bigger and more interesting one than this book allows. Like so many literary histories, it has difficulty in avoiding what Herbert Butterfield called "the Whig interpretation of history" — which can see in the past only an evolutionary unfolding of the present. The up-to-date taste of the author necessarily takes precedence over that of the authors he studies — and the taste tendency is further exacerbated by the need to stay pretty rigidly within the "canon" of old texts certified to be worthy of preservation into our own time, partly by lending themselves to readings that flatter our assumptions about the world. 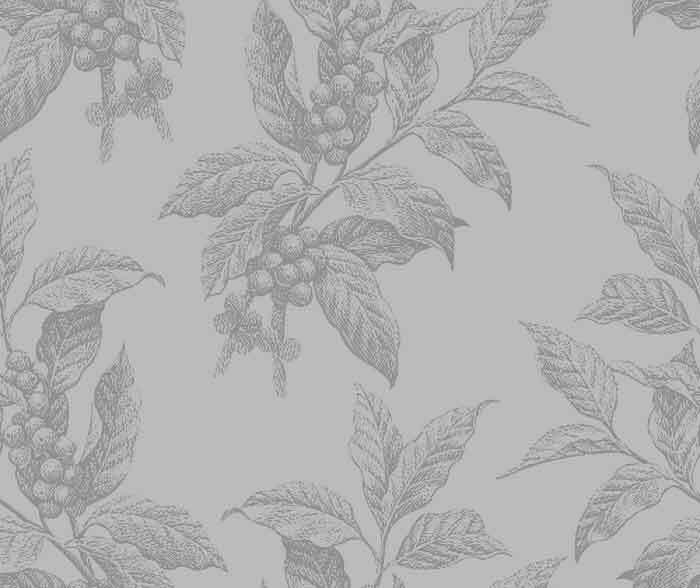 Early on, Leigh writes that "the past is a veil. Once discovered, questions of legitimacy, autonomy, and freedom that the duelist asks of society turn out to be troublingly modern." What he means is that this is the way he chooses to see them — rather than as even more troublingly unmodern. A little more humility before the intolerable strangeness of the past would have made this interesting history a good deal more interesting.